I added a new picture. Yes, its LeMans topspeed is above 400 km/h. Its succesor the 962 reached 409/414 km/h (inofficial). Today LMP cars are not able to reach that speed. It is not only because of the chicanes, its because of the downforce too. The chicanes make it impossible to reach such high speeds (that is the worse thing). The good thing is, that it is not as dangerous as in the earlier days. @ Super8 & Fangio Man: The Porsche 917 still holds the speed record on the Mulsanne Straight at LeMans Circuit De La Sarthe. The 917/30 had 1100 PS! It accelerates as fast (or even faster) as a F1 car! With 800 kg it is very light too. @Shaggy: The best 917 is 917 LM and 917 T/A. The T/A has 1,587 Hp. @ Super8 & Fangio Man: I read that the Porsche 917 was capable of 260+ MPH. This car performance sounded like Porsche 917. 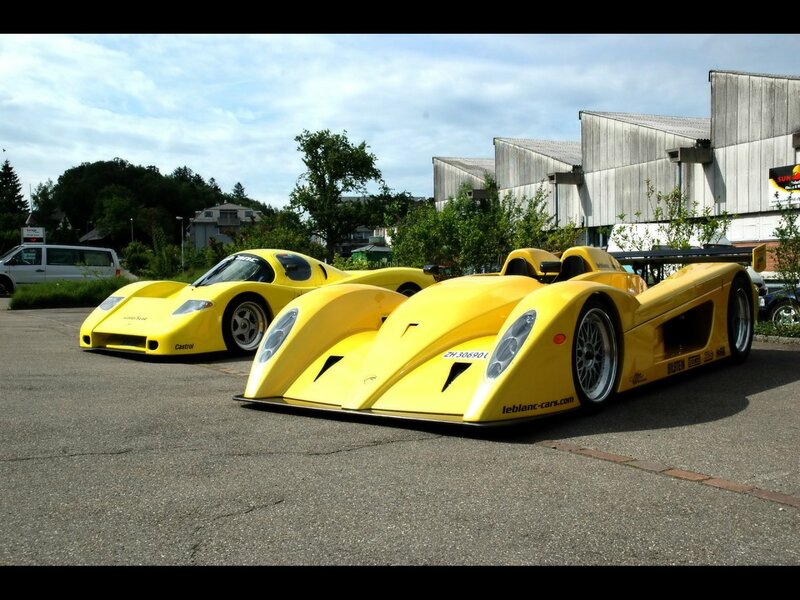 This car is a road legal LeMans racecar. Although it never started there it is the road car that reminds me more on such race cars like any other car. At least one DOT legal car seems to exist. Saw it driving on a country road near Zurich! Did Leblanc actually sold any car? just the semiautomatic gearbox costs 46000 pounds!!! up to the A10's level? hahahahhahaahahahahahahahhhhaahhahahahaha, this will ANNIHILATE the A10 round a track, and any other car around track. 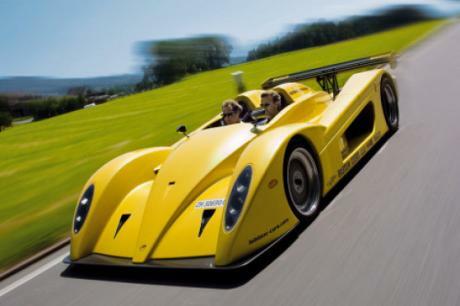 does anybody think this car can take the caparo t1 on the nurburgring? and if so what do you think it and the caparos lap time will be? Somebody track test this car. It will dominate.